Mark Pougatch, Danny Mills and Charlie Adam review the night's Champions League results. 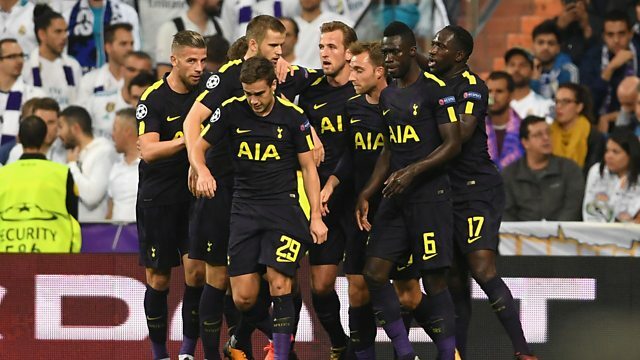 Mark Pougatch, Danny Mills and Charlie Adam look back on a good night in Europe for Britain's Champions League sides, as Liverpool and Man City both win, while Tottenham pick up a point at the Bernabeu. There's also reaction from Leicester supporters after the sacking of their manager Craig Shakespeare.